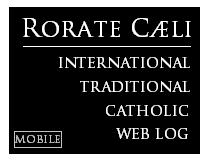 RORATE CÆLI: For the record: Important interview with Ecclesia Dei VP Di Noia "The Pope doesn't want this division to continue"
"The Pope doesn't want this division to continue"
Archbishop J.A. Di Noia granted an interview to the National Catholic Register on his new position as Vice-President of the Pontifical Commission Ecclesia Dei, which we post here for the record of events. What stage has the Vatican reached in its talks with the SSPX? To be honest, I don’t know. I have a steep learning curve in terms of the issues as they have developed in the dialogue. When I came here, I studied the history of the reform and took a close look at the council, so I’ve learned a lot about the objections that come from that world. I’ve read books by Romano Amerio and Roberto de Mattei on the [Second Vatican] Council, and, of course, I’ve been studying the Council for years; so, in that sense, I have a framework out of which I can talk with them about their problems. Another factor of great importance, autobiographically for me, is that I had lived my entire religious life, until I came here to Rome, in a Dominican priory, mostly in Washington or in New Haven, Conn. In those places, the hermeneutic of continuity and reform, if I may put it that way, was lived. I never experienced the Council as a rupture. It’s interesting — only as I’ve begun to read this traditionalist literature and interpretation have I begun to understand that, in a certain sense, there are problems that are real. But if you cease to believe that the Holy Spirit is preserving the Church from error, you cut your moorings. The councils cannot — whatever their interpretations may be by the left or right, or whatever the intentions of the authors were of the council documents — be led into error. All of the documents stand. Schism is not the answer. So I’m sympathetic to the society, but the solution is not breaking off from the Church. That being the case, why do you think some Catholics have decided to stick to “frozen” tradition, as it were, rather than coming into full communion? I don’t honestly know; I can only speculate. To say why people are traditionalist I’d have to say it depends on their experiences. The [reform of the] liturgy has been a factor; it was a terrible revolution and shock for people. Many of these people feel abandoned, like the Church left them at the dock with the ship. So the reasons are very complicated and vary from one type of traditionalism to another and from countries, cultures and contexts in which they have arisen. Another issue is there’s a failure to recognize a simple fact of the history of the Church: that all theological disagreements need not be Church-dividing. So, for example, the Jesuits and Dominicans had a tremendous disagreement in the 16th century about the theology of grace. In the end, the Pope forbade them to call each other heretics, which they had been doing. The Pope said, “You may continue to hold your theological opinion,” but he refused to give a doctrinal determination, saying the Jesuits or Dominicans were right. Now, this is a very interesting example, because it shows that Catholicism is broad enough to include a tremendous amount of theological diversity and debate. Sometimes the Church will act, but only when it sees people slipping into heresy and therefore breaking off from communion. You’ve worked closely with Pope Benedict XVI in the past. How important is this reconciliation for him? The Pope hopes for reconciliation — that’s the Pope’s job. The ministry of Peter is above all to preserve the unity of the Church. So, apart from whatever personal interest Pope Benedict might have, he shares his concern with John Paul II. As you know, he has been involved in this from the beginning. The Pope is bending over backwards to accommodate them, but he’s not going to give in on the issue of the authenticity of the teaching of Vatican II as a series of acts of the magisterium. The Society of St. Pius X argues the Second Vatican Council promulgated no infallible and irreformable teaching. It was pastoral and not dogmatic. If that is so, why is it important that they agree with it? There’s enough that’s dogmatic in it. The sacramentality of episcopal ordination, to take one example, is a development of the teaching of the episcopacy, so it is doctrinal. Traditionally, the doctrines were stated as canons with anathemas. There aren’t any of those, but it’s certainly full of the ordinary magisterium and a restatement of it. It’s doctrinally rich. But did it seek to clarify what Trent left open or that Vatican I left open with regards to Scripture and Tradition? There are doctrinal developments here and there. And the society thinks, of course, that the whole teaching on religious liberty is a departure from the tradition. But some very smart people have tried to point out it’s a development that is consistent. What I’ve tried to argue is that all they have to do is to say there’s nothing in the Council that is contrary to Tradition and that every text, or every part of it that is controversial, should be read in context of the Council — and read it in light of the Tradition. It seems to me, despite their difficulties, they should be able to do that. What do you say to the argument that if the Council documents are neither infallible nor unchangeable then they are therefore not binding? To say they are not binding is sophistry. The Council contains swathes of the ordinary magisterium, which is de fide divina [of divine faith]. What I meant was: The overemphasis is on infallibility. This is why John Paul II and Benedict XVI decided not to define anything infallibly anymore because you see what happens is: People say: “I only have to believe what’s been infallibly defined.” Now, that is very little. So that’s why there’s a distinction between the ordinary and extraordinary magisterium. The extraordinary magisterium is what the Church defines, and it almost always involves settling disagreements that probably have been defined. The Church would perhaps have never said Mary was the Mother of God if Nestorius hadn’t denied it. But with the ordinary magisterium there’s huge amounts of what we believe that’s de fide divina that’s never been defined. That’s why people have talked about the ordinary magisterium, trying to get out of this reductionist reading that says you only have to believe what’s infallible. So, no, the Council does have binding teaching. The Fathers are writing as bishops of the Church in union with the Pope; that’s why the Council is so important. It did not seek to define infallibly any doctrines; that’s what he’s saying, but he’s not saying it doesn’t contain great amounts of the ordinary magisterium. If you take the dogmatic constitutions, they are called dogmatic constitutions — Divine Revelation [Dei Verbum], Lumen Gentium, those two surely, but other ones, too. What would the Society of St. Pius X bring that would positively impact the Church if they reconcile? The traditionalists that are now in the Church, such as the Priestly Fraternity of St. Peter, have brought what the Pope has insisted upon: that in the solemnity of the way in which they celebrate the liturgy, especially in the area of the liturgy, they are a testimony to the continuing liveliness of liturgical tradition previous to the Council, which is the message of Summorum Pontificum. The thing is: They [SSPX] can’t say that the Novus Ordo is invalid, but their celebration of the 1962 Missal is something that remains attractive and nourishes faith, even of those who have no experience of it. So that’s a very important factor. I’ve tried to find an analogy for this. Let’s say the American Constitution can be read in at least two ways: Historians read it, and they are interested in historical context: in the framers, intentions of the framers, the backgrounds of framers and all of that historical work about the Constitution. So, you have a Constitution you can study historically and shed a great deal of light on the meaning of it. However, when the Supreme Court uses the Constitution, when it’s read as an institutional living document upon which institutions of a country are based, it’s a different reading. So what the framers thought, including not only experts upon whom they’re dependent — they are parallel to the bishops, and the experts are parallel to the periti [theologians who serve participants at an ecumenical council]. Those documents have an independence from all of them. I often say that what Council Fathers intended doesn’t matter because it’s how you apply it today that matters. It’s a living document. Yet it’s the way it has been applied that’s the problem. What’s very important for theologians, people in charge to understand is that the Council has been interpreted in wildly destructive and discontinuous ways. I’m reading a book by Louis Bouyer, who wrote a book -– in 1968 — called The Decomposition of Catholicism. Then there’s Xavier Rynne, who shaped the Western world’s understanding of the Council by writing those articles in The New Yorker. The Pope has written brilliantly about this many, many times, but, you see, in part, the traditionalists are reacting justly against the outlandish interpretations of the Council by the progressivists. What else positive can they bring? If they are accepted by the Church and restored to full communion, they will be a sort of living witness to the continuity. They can be perfectly happy being in the Catholic Church, so they would be a living testimony to show that the continuity before and after the Council is real. But that’s only if they comply with the Vatican’s conditions? It’s more than that. It’s not like an edict — stop on red; go on green — because membership and full communion involves faith that the Holy Spirit is preserving the Church from error and that communion with the See of Peter is part of the reality of being in full communion. It’s not accidental. The society has been fed by people who use the word “error.” “Error” is a vague word in the Catholic tradition. There are many different levels of error. Sometimes it means you’ve fallen into heresy; sometimes it means that you are rash. Your new position is as vice president of Ecclesia Dei, but it’s not clear who you are replacing. There was a vice president for a while, Msgr. Camille Perl. However, what they’ve done is fill a position which I believe has been empty for three years. I’m not sure when Msgr. Perl went into pensione. Some have argued that you have been brought in to help prepare a canonical structure for the SSPX should they reconcile. Is this based on the extensive work you did in helping to create the Anglican ordinariate? I don’t know; the Pope didn’t tell me why he chose me. I was involved in the ordinariate from the beginning. I was under secretary of the Congregation for the Doctrine of the Faith, involved in discussions that led to formation of the ordinariate, but I am not a canonist. I didn’t have a direct role in the composition of the constitution, but, yes, I have experience, perhaps of dialogue. The Anglicans who came to Rome seeking full communion would often come and see me. So I guess I must have some kind of gift that attracts them to me [laughs]. How much is a perceived weakening of the dogma extra Ecclesiam nulla salus (no salvation outside the Church) a major part of the problem, as some traditionalists assert? Has today’s understanding of the dogma contradicted its earlier teaching? I don’t know if you can blame this on the Council so much as the emergence of a theological trend that emphasised the possibility of salvation of non-Christians. But the Church has always affirmed this, and it has never denied it. … [Karl] Rahner had a disastrous effect on this with his “anonymous Christianity.” But the Council does not alter the teaching of the Church. And yet they argue it does? This is a very good example of two of the things we’ve mentioned: the danger of reading this as it’s been read by Rahner, instead of in the light of the whole Tradition. They claim that salvation is hardly proclaimed anymore. Ralph Martin agrees with that. We do have a crisis, because the Church has been infected with the idea that we don’t have to worry or be anxious or we don’t sufficiently take the mandate to proclaim Christ seriously. But it’s not because of Vatican II, but bad theology. That’s whyDominus Iesus was part of the response to all of that theology of religion. There is no question that the necessity of extra Ecclesiam nulla salus has a long history. But they were talking about heretics, not nonbelievers. That formula addresses the problems of heresies. It has its history. The Council did say there are elements of grace in other religions, and I don’t think that should be retracted. I’ve seen them, I know them — I’ve met Lutherans and Anglicans who are saints. Some traditionalists say secular humanism frequently wins over dogmatic assertions in the modern Church. To give an example: The Holy Father has said he wouldn’t have lifted the excommunication on Bishop [Richard] Williamson had he known about his anti-Semitism. But while anti-Semitism is heinous, traditionalists say that such views aren’t a dogmatic position. And yet Catholic politicians can freely speak against the dogma and remain in full communion with the Church. What do you say to such an argument? That’s a trap. Edward Norman, in his very good book Secularization, says there’s no question that what he calls internal secularization, secular humanism, has definitely invaded parts of the Church. They [SSPX] are probably right about that, and I could give them a longer list of examples than they could probably make themselves. However, to try and defend Williamson on this basis is disgusting and odious. Is a politician the same thing as a bishop? Give me a break. It’s garbage; it’s sophistry. Do they want a blanket excommunication of everyone who’s pro-choice? And yet here is a person, a bishop, who openly proclaims a position which the Church is desperately trying to suppress in the Church itself, which is anti-Semitism. In the CDF statement that accompanied your appointment, it said your experience “will facilitate the development of certain desired liturgical provisions” in the celebration of the 1962 Roman Missal, commonly known as the Tridentine rite. Could you explain this in more detail? There are two things: In the calendar, there are a lot of saints they [SSPX] would like to add, but the Roman Missal is fixed. There’s got to be a dialogue between them and the Congregation for Divine Worship on how to incorporate elements of the Roman calendar and how it has developed over the last 50 years. And then the prefaces: The old Roman Missal of 1962 has a very limited number of prefaces, and they are also interested in incorporating some of the prefaces. But because it’s the 1962 edition, who can revise the 1962 edition of the Missal? In effect the Novus Ordo, the current Roman Missal, is a revision of the 1962 Roman Missal. So the issue is: How can they do this? I don’t know, but the job has to be done. We already had two meetings, between representatives of the congregation and representatives of Ecclesia Dei, to discuss how that could be done. Mention was made of your good relations with the Jewish community. How good are those relations? I’ve had long and warm relationships with various Jewish leaders from the time I was in the United States, working at the bishops’ conference, which has continued all along. They have come to see me every year. I don’t know if they’ve said anything in public, but on the phone they’re very happy. They know I’m sensitive to their concerns. Nostra Aetate (a document believed by many to have helped foster better Jewish-Catholic relations) is a problem for the SSPX. Yes, but remember: If you take the constitution exactly, as a jurist, there’s the broad and the strict, and that’s a disagreement that can be held by two justices simultaneously. So again, if they want to take a stricter reading of those conciliar texts, they’re perfectly free to do so theologically. But it doesn’t mean they have to be outside the Church, and they should argue against people based on theology. If they believe Nostra Aetate is being badly interpreted, then they have to get into the battle to correctly interpret it. Rather than walk away from the field, they have to play the game. Could a reconciliation be timely, given the problems in the Church and culture? It’s my instinct; remember that until Benedict said in December 2005 in his address to the Curia, in which he made his famous discourse about hermeneutic of continuity, you couldn’t even talk about these things. So Benedict has liberated us for the first time. You can now criticize [theologians Cardinal Henri-Marie] De Lubac, [Cardinal Yves] Congar, [Father Marie-Dominique] Chenu. And many young people are writing dissertations and books that were somehow impossible before. So I would say that the dominant progressivist reading of the Council is in retreat. It’s never been in retreat before. But insistence on continuity — they have to embrace that too. Traditionalists have to be converted from seeing the Council as rupture and discontinuity. This is a distinction [historian Roberto] de Mattei makes. The Council was experienced as a rupture, but doctrinally and theologically it has to be read in continuity — otherwise you must just as well throw in the towel. Do you think SSPX fears their concerns won’t be safeguarded if they reconcile? How will they not be safeguarded? Who’s telling them what to do? The only thing I’m telling them is: Vatican II is not a departure from Tradition. Are you optimistic or pessimistic about reconciliation? I’m neither; I just don’t know. I think it will be an act of grace. In fact, I’m going to ask the Dominicans to start praying. I hope it’ll happen. The Pope doesn’t want this to continue — another sect, another division. Very interesting man & interview. He definitely seems to share some common points of view. I did find a few of his points rather intriguing...e.g. he is now going to ask his Dominican friends to start praying...? Just as we say in Spanish: "More clear: water"
It seems it is not so important the true, but play the game. Well, you can play it breaking the rules. Beside that I don't like this man when he presents himself as a "I don't know" about what hapenned after the council because he was in a living hermeneutic of continuity community. A man who say that is not prepare for the charge. DiNoia is correct about the necessity of the SSPX accepting the authority of Vatican II. This should not be a problem for them since the legitimacy and doctrinal soundness of its teaching were ratified by the Pope and Bishops at the time, and by all his successors. Archbishop Lefebvre himself signed all the documents! So, how could there be a rupture in the teaching authority of the Church? If the SSPX does not believe the Holy Spirit protects the Church from error in these matters then they are not Catholic. This should be made clear. The [reform of the] liturgy has been a factor; it was a terrible revolution and shock for people. Many of these people feel abandoned, like the Church left them at the dock with the ship. Another issue is there’s a failure to recognize a simple fact of the history of the Church: that all theological disagreements need not be Church-dividing. I had lived my entire religious life, until I came here to Rome, in a Dominican priory, . . . I never experienced the Council as a rupture. It’s interesting — only as I’ve begun to read this traditionalist literature and interpretation have I begun to understand that, in a certain sense, there are problems that are real. I assume he is telling the truth, but that makes this statement even more disturbing. Will the SSPX side of the negotiations have to go through the same long, tedious process of showing him pictures of cheesehead Masses and guitar Masses and "Western" Masses and balloon Cardinal Masses to get him up to speed? Incredibly, he admits that the word "error" is vague and can have many meanings, but then insists that the SSPX may not use it to describe the Council. If error can just mean imprudence, then "errors of the Council" could be perfectly orthodox even for the most conservativest of conservative Catholics, no? You're allowed to think that holding the Council was a really bad idea, right? That the way the Council went about things was really poorly thought out. That the documents are ugly, badly worded, and ill-constructed. Etc. Let's canonize them, then, starting with Luther, that holy man. "Another issue is there’s a failure to recognize a simple fact of the history of the Church: that all theological disagreements need not be Church-dividing. So, for example, the Jesuits and Dominicans had a tremendous disagreement in the 16th century about the theology of grace. In the end, the Pope forbade them to call each other heretics, which they had been doing." His Excellency's analogy is not apt, to say the least, as neither the Jesuits nor the Dominicans were disputing an innovation that had been enshrined in an act of the Magisterium. And the SSPX were not and will not be so dumb as to go into canonical irregularity over mere academic disputes in theology. This passage and many others in the interview clearly show that Abp. Di Noia has very little idea of what the SSPX believes. It would be better for him to spend several months brushing up on the SSPX's position before he engages them. He doesn't have to believe as the SSPX does; he only has to understand their position correctly. "And the society thinks, of course, that the whole teaching on religious liberty is a departure from the tradition. But some very smart people have tried to point out it’s a development that is consistent." If that's so, why hasn't there been a magisterial document showing how it's compatible with, e.g., Quanta Cura or Pius IX's Syllabus? "people would ask me: “Is it infallible?” I would say, “The more important question is: Is it true?”"
The Church, not our fallible human reason, is ultimately "the pillar and ground of the truth" (1 Tim. 3:15). It seems like he thinks reason has the final say; it does not (cf. Vatican I's Dei Filius). Modernists think that "science is to be entirely independent of faith, while on the other hand, and notwithstanding that they are supposed to be strangers to each other, faith is made subject to science." (Pascendi §17). "I’ve met Lutherans and Anglicans who are saints." How can he be so sure? "Do they want a blanket excommunication of everyone who’s pro-choice?" 100% absolutely! A public proclamation of excommunication would be a godsend! Enforce Canon 915! "And yet here is a person, a bishop, who openly proclaims a position which the Church is desperately trying to suppress in the Church itself, which is anti-Semitism." Bp. Williamson is not anti-Semitic, and he's not going to apologize for Pius XII helping out the Jews during his reign. Also, Nostra Ætate does not say no Jews were responsible for Christ's death. I liked this part, though: "they should argue against people based on theology. Also, Vatican II was not entirely infallible because it "ha evitato di pronunciare in modo straordinario dogmi dotati della nota di infallibilità [avoided pronouncing in an extraordinary way (newly defined) dogmas endowed with the note of infallibility]" (Pope Paul VI audience, 12 January 1966) and "In view of conciliar practice and the pastoral purpose of the present Council, this sacred Synod defines matters of faith or morals as binding on the Church only when the Synod itself openly declares so" (Council's General Secretary, 16 November 1964), which it never did for its doctrinal novelties. I agree with the comment from Bill, above. The ideas expressed in this interview are quite superficial, quite appalling really. This man is light years from understanding why the SSPX exists and must continue to exist. "Traditionalists HAVE TO BE CONVERTED from seeing the Council as rupture and discontinuity." It is the SSPX who has to be converted to Rome and to the Holy Church, not Rome to Tradition as bishop Mallarais said. And again, it is clear how the traditionalits reads Ratzinger as they want. It is true that in their adress to the chilean bishops Cardinal Ratzinger -and is the same Benedict XVI here- said that we do not have to deal with the Vatican Council II as a "superdogma". "Aside from the liturgical questions, the central points of conflict at present are Lefebvre's attack on the decree which deals with religious liberty, and on the so-called spirit of Assisi. Here is where Lefebvre fixes the boundaries between his position and that of the Catholic Church today. "I need hardly say IN SO MANY WORDS that what he is saying on THESES POINTS is UNACCEPTABLE. Here we do not wish to consider HIS ERRORS, rather we want to ask ourselves where there is lack of clarity in ourselves. For Lefebvre what is at stake is the warfare against ideological liberalism, against the relativization of truth. Obviously we are not in agreement with him that -- understood according to the Pope's intentions -- the text of the Council or the prayer of Assisi were relativizing. "It is a necessary TASK TO DEFEND the Second Vatican Council AGAINST Msgr. Lefebvre, as valid, and as BINDING upon the Church. Certainly there is a mentality of narrow views that isolate Vatican II and which has provoked this opposition. There are many accounts of it which give the impression that, from Vatican II onward, everything has been changed, and that what preceded it has no value or, at best, has value only in the light of Vatican II. "The Second Vatican Council has not been treated as a part of the entire living Tradition of the Church, but as an end of Tradition, a new start from zero. The truth is that this particular Council defined no dogma at all, and deliberately chose to remain on a modest level, as a merely pastoral council; and yet many treat it as though it had made itself into a sort of superdogma which takes away the importance of all the rest." Finally, I repeat one more time: It was Benedict XVI himself who returned to Fellay the former Dotrinal Preamble of the Vatican to Fellay last month, not Cardinal Levada. "Traditionalists have to be converted…" So the SSPX aren't Catholic? So, was the Nota Praevia of Lumen Gentium wrong? The Council was not infallible, but it can't be in error? Is that what I should take from this? It appears it will still be some decades before Rome can be weaned off Vatican 2, truly a devotion to St Peter in Chains is key to all this. "Traditionalists have to be converted"
Converted to what? Vatican II modernism?! "I didn’t have a direct role in the composition of the constitution, but, yes, I have experience, perhaps of dialogue." - There's that word again, DIALOGUE! "There are doctrinal developments here and there. And the society thinks, of course, that the whole teaching on religious liberty is a departure from the tradition. But some very smart people have tried to point out it’s a development that is consistent." - Notice that those people were not described as "holy," but "very smart"? Given the state of affairs in the Church, that was not a reassuring or convincing statement. The language remains status quo. I really don't understand him. His Excellency seems to be pounding in open doors. Surely there are 'swaths' of ordinary magisterium in the council documents. Who would deny this? Msgr. Lefebvre allegedly said that 95% of the documents are acceptable. Sacramentality of bishops: from the public statements of SSPX it does appear that they have a big problem with it. Anglican or Lutheran 'saints': that non-catholic individuals could be saved is a pre-Vat2 teaching. The real question is whether the non-catholic religious communities are their means of salvation or is it the Catholic Church. And so on. If the council fathers did not choose to issue anathemas maybe now is the time for them. Let the CDF make a list of things that out of this huge amount of texts should be believed in order to be a catholic (Isn't the 1968 Credo of the People of God just that? ), or better a list of traditionalists' ideas opposed to them, and condemn them. What stage has the Vatican reached in its talks with the SSPX? "To be honest, I don’t know. I have a steep learning curve in terms of the issues as they have developed in the dialogue." Then what on earth would make His Excellency think it was nonetheless appropriate to grant an interview? This is firstly a scandal against prudence, independent of the interview's possibly grave effects on our lives and those of our friends. People should be humble enough to avoid taking on tasks that they are unqualified for, by which I mean simply this interview. Imagine if he were instead a diplomat, a cabinet minister, a parish priest or even a middle manager in a small company, receiving a new assignment and throwing his opinions around before getting up to speed on the local landscape? I hope no Rorate readers will follow his poor example, and speak like an expert while still ignorant of the facts. The mute American Abp di Noia is becoming very talkative in a few days. The interview is exposing the framework of the doctrinal debate : nothing really new. The entire problem lies in the margin of interpretation that is left to SSPX and automatically to "Wir sind Kirche" and "Call to Action". The more you concede to Bp Fellay, the more you grant to Austrian rebellious priests. That being said, there is some ingenuity in Abp di Noia's answers when he confessed to discover in the past few days there are real problems raised by the trads. At least it is never too late to realize what here we all know for decades ... He has been reading a lot especially Amerio and de Mattei. He could add Fr Lucien if I could give His Excellency a modest advice. I was also positively surprised to read under a high ranking counciliar theologian very harsh evaluation of the dreadful Karl Rahner and that he is acknowledging as a positive evolution, younger theologians to criticize sharply Congar, de Lubac etc. So clearly the pope has appointed Abp di Noia in a kind of desperate movement to reach for the SSPX reconciliation and try to rescue a process the CDF (and a few others) has seriously endangered in May and June. He seems a man of good will and decided to embrace his delicate mission, beginning to measure out how difficult it will be, especially after the nasty games played in the Curia recently. Plus the lack of support he will get from this left veering Curia - with a Bp Roche and a Bp Paglia - and in case of the appointment of Bp Mueller as his direct superior at the helm of CDF. In that whole answer, I never got one straight answer to the question asked. Also the statement " There are doctrinal developments here and there." No, they are ruptures because they departed from the clear and unequivocal teaching based upon consistent and well traced teaching stemming from the time of Jesus Christ himself with no gaps. The post concilliar age quotes exclusively from Vatican II and onwards, as if everything beforehand is anathema to be mentioned. "But some very smart people have tried to point out it’s a development that is consistent." Yes they have, and they have failed because even the simple Catholic who is grounded in basic articles of faith and terminology can see the shift that has emasculated the Truth which is Jesus Christ. For goodness sake, we even term heretics as 'Non Catholic Christians' and heathen as 'Non-Believers', in an attempt to 'appease' them. Definitely has not worked ! His Excellency's answers are seriously superficial and at worst, sorely lacking basic knowledge and forestanding over what is wrong and where the rot is ! Vatican II was a seriously messed up council with many of the Bishops not even knowing what they were signing and liberal 'periti' effectively controlling the agendas of all topics put forth. It was a mess, simples. "The question is not if something infallible but if it is true"
How depressing. This is more a piece of sophistry than anything the SSPX has said. If anything distinguishes the SSPX from Rome, it is that they are straight talkers, and Rome is still infatuated with the opaque prose that marks Modernist-friendly theology. If this interview is an accurate indicator, there will be no reconciliation. My take was also the same as Bill's above. That's pretty keen perception on the part of His Grace and, if he is accurate, why especially should one be Catholic? Archbishop Di Noia used the word “sophistry” on a number of occasions during his interview, yet he employed sophistry throughout in an effort to justify the unjustifiable. How can a prelate so high in office attempt to defend the entirety of Vatican II as divinely inspired when the bitter fruits of that Council are everywhere present in what’s left of the Church? And how can he say, in light of the facts, as well as of the statements by Mgr. Bugnini, that the Novus Ordo Missae is the same Mass as that of the 1962 Missal? Furthermore, how can His Grace possibly speak of saints he knows who are Lutherans and Anglicans? When did Catholics ever hear such things coming from the mouths of prelates at any time up to Vatican II? As regards his attempted defence of Vatican II as “guided by the Holy Spirit and therefore free from all doctrinal error,” this is schoolboy stuff! Vatican II was not an infallible Council. That being the case, they must accept the very real possibility that error got into those documents. Our Lord did not promise Peter impeccability at all times. Had I been interviewing the Archbishop I would have asked him if it was the Holy Spirit who inspired Pope John Paul II to kiss the Koran and arrange those infamous gatherings at Assisi. No, Fr. Gherardini has written about the errors of the Council and Bishop Athanasius Schneider has asked that an “Index of the Council’s errors” be established. So I’m afraid this rigid line on the full acceptance of Vatican II has killed any hopes of reconciliation for the time being. The rhetoric of the Holy See on Vatican II had softened a bit when these talks first began, but now it’s back to the same old insistence that error must be accepted if one wishes to be considered in “full communion” with the Pope. That is false and unjust. I started to read with great interest and anticipation. But after finishing the interview I was left with a funny, unsettled feeling. The overall impression I have is that the good Archbishop has missed, or ignored, the grand destruction we have witnessed these last 50 years. A destruction based upon a reading and interpretation of Vll's documents which obviously allowed for the revolution to occur. When one allows loopholes such as; "on the one hand, but on the other" and "where local, or pastoral, conditions demand etc" you open up a can of worms. I also think that the Archbishop needs to really study the Society's positions and reasonings more fully and with a complete open mind. I wonder if he has had the opportunity to read the minutes of the doctrinal discussions which were held. All in all, based upon this interview I do not have a confident feeling that here we have a brand new excellent well informed discussion partner for Bishop Fellay. I hope I am wrong. Lord have mercy. He seems thoughtful, but somewhat lacking in the subtlety I would have hoped for in a Dominican. Worse than that, as some commenters have pointed out, he does not really seem to grasp the SSPX's positions and tends to build a lot of straw men. Reading this, one gets the impression that they are a bunch of rather dim folk who would prefer to 'go into schism' rather than recognise that the Holy Ghost will always preserve the Church from error - a very insulting and facile summary. Assertions like "Vatican II is not a departure from Tradition." are not going to take us very far, because, as usual, there is no attempt to analyse the issue by making the proper distinctions. If it were clear that Vatican II were in continuity with Tradition, why would there be any controversy about it at all? The solution to all this fuzziness is clear. Pulex gets it right when he says "Let the CDF make a list of things that out of this huge amount of texts should be believed in order to be a catholic (Isn't the 1968 Credo of the People of God just that? ), or better a list of traditionalists' ideas opposed to them, and condemn them." We desperately need some Roman rigour and clarity here. We cannot go on and on arguing in circles about hermeneutics. "Realizing the impossibility of coming to an understanding, on the 2nd of June I wrote again to the pope: It is useless to continue these conversations and contacts. We do not have the same purpose. You wish to bring us round to the Council in a reconciliation, and what we want is to be recognized as we are. We wish to continue Tradition as we are doing." Where in Catholic Doctrine does it say it's not possible for a Protestant to be a saint? That is, not a Canonized saint, of course, but a friend of God, holy, endowed with supernatural gifts? They are still in denial. It's not the SSPX which rejects Vatican II but rather it is the Society which accepts 95% of it while the Bishops, the useless Bishops, appointed by JPII and by this Pope too reject far more than that. Of course the Council was a rupture: to say it wasn't is to be a tragic Gorbachev-like figure who thought Communism could be reformed. "In effect the Novus Ordo, the current Roman Missal, is a revision of the 1962 Roman Missal." This is a shocking statement. Someone needs to send Bp. DiNoia some reading material. Is it possible for an Ecumenical Council to teach false doctrines that can lead people away from the Catholic Faith under the Ordinary Authentic Magisterium? Does an ecumenical council necessarily always speak in the infallible Universal and Ordinary Magisterium? I just skimmed through most of this interview. When I read the part about the "heremenutic" in Connecticut and nothing having changed my bs alarm bells are ringing loud and clear. How many priests and religious resided in Connecticut before Vatican 2 and how many now? Meanwhile, what is the total population of Connecticut now vs. 1960? The Church is in ruins and these Bishops are in Rome fiddling. Archbishop Di Noia says in the opening section: "Schism is not the answer. So I’m sympathetic to the society, but the solution is not breaking off from the Church." It is important to realize how the relationship of the SSPX and the Catholic Church is viewed by each soul involved in the hierarchical authority. "SYMPATHETIC" not supporting a schismatic approach is a status that DIVINE GRACE can work with. "It did not seek to define infallibly any doctrines; that’s what he’s saying, but he’s not saying it doesn’t contain great amounts of the ordinary magisterium." No, I think the Holy Father was - to his credit - saying more than that. He was reflecting, I think it's plain, on the reality that for so many figures in the Church today, Vatican II is elevated to a status far above any other council or source of Church teaching. It becomes a "super council," virtually the only one ever quoted any longer, one which seems to trump any other claims, conciliar, papal, or otherwise. And even this pontificate is not immune. The *vast* majority of citations in papal and curial documents are to documents of the Council, or those issued by the Church in the years since. 2. The Dominican House of Studies in DC. I happened to grow up outside New Haven and went to CUA. I know both places intimately, and he is right in terms of theology, etc. But, in fairness, the Dominicans - in terms of liturgfy - abandoned the Dominican rite, to rely on the Novus Ordo. With that said, they usually relied on the Graduale, etc. for the propers (which few, if any, ever use in the Novus Ordo). I happen to know DiNoia personally from the time I worked at the NCCB in the mid 90's when he was the ED of Doctrine. Knowing what was going on at the Conference then, and what he was up against, I am stunned he's now in Rome, never mind being an Archbishop. In any case, one shouldn't expect him to say much if anything than that which deviates from the "official" public line. If he did, there would be even more of an uproar among certain prelates then there already is. This is a man who has the Faith and is - in a very real sense - a traditionalist in theology. He will only go so far as the Pope allows. The decision rests with our Holy Father. +DiNoia will do nothing to derail what our Holy Father wants. The Sacramental character of Episcopal Consecration or Ordination is a doctrine that PRECEDES the Second Vatican Council. So Archbishop Di Noia errs gravely when he ascribes that doctrine to the Council. It suffices to read the PRECONCILIAR Apostolic Constitution Sacramentum Ordinis of Ven. Pope Pius XII to verify that the sacramentality of the Episcopacy was a doctrine by then well established. That 1947 Apostolic Constitution concerns itself with the Sacrament of Holy Orders, and then it goes on to clarify what exactly are matter and form of that Sacrament, in the Liturgy of the Latin Church as then in use. For each of the three stages of the Sacrament - Ordination to the Diaconate, to the Priesthood, to the Episcopacy - the Apostolic Constitution clarifies which words constitute the essential sacramental formula necessary for the valid administration of the Sacrament. As regards "Episcopal Ordination or Consecration" - says the Apostolic Constitution - the matter of the Sacrament is the imposition of hands by the Bishop Consacrator, and (in the traditional books that were then the only books of the Latin Church), the form of the Sacrament corresponds to the "Preface", of which the following words constitute the sacramental formula required for validity: "Comple in Sacerdote tuo ministerii tui summam, et ornamentis totius glorificationis instructum coelestis unguenti rore santifica"
While commanding that the all that is contained in the liturgical books and in the prior Apostolic Constitution Episcopalis Consecrationis of 1944 be observed, the Apostolic Constitution goes on to decree that the tradition of instruments is not in the future to be regarded as essential for validity; it recognizes that the Church can impose laws even affecting the validity of the Sacraments; but it goes on to say that "if there was ever a lawful disposition to the contrary We now decree that at least in the future the traditio instrumentorum is not necessary for the validity of the Sacred Orders of the Diaconate, the Priesthood, and the Episcopacy". So that PRECONCILIAR Papal Document, and not Vatican II, already recognized the Sacramental nature of the Episcopacy. And that Papal Document also already clearly made clear that, Sacramentally, Holy Orders consisted of the Diaconate, the Priesthood and the Episcopacy, so that both the Minor Orders and the Major Order of the Subdiaconate were non Sacramental, while the Major Orders of the Diaconate and of the Priesthood, and also the "Pontifical Order" (as the Episcopacy is called in the traditional rite of Episcopal Consecration) are the three stages of the Sacrament of Holy Orders. So, yes, here doctrine and dogmatic character are involved, but the doctrine is not a creation of Vatican II. It is firmly preconciliar. Vatican II only enhanced knowledge of the sacramental character of the Episcopate. Even the doctrine that the Bishops are successors to the Apostles is not new: the Council of Trent had already declared that. So, Di Noia needs to search for a better example of a novel dogmatic doctrine of Vatican II. Q. "You’ve worked closely with Pope Benedict XVI in the past. How important is this reconciliation for him?" A. "The Pope hopes for reconciliation — that’s the Pope’s job. The ministry of Peter is above all to preserve the unity of the Church. So, apart from whatever personal interest Pope Benedict might have, he shares his concern with John Paul II. As you know, he has been involved in this from the beginning." "I request "X" from you...yes or no? Goodbye to clarifications and dossiers...just meet face-to-face to conclude the tiresome process that has grown intolerable. You know, the longer this thing drags out, the less likely it seems that there will be a reconciliation. One thing that is clear, is that there are many Catholic laymen who aren't members, friends, and benefactors of the Society who already consider the Society to be Catholic. Just on this blog alone, there is a lot of good will shown towards the Society and its adherents for their uncompromising stance in support of Catholic tradition. But, what happens if the Society and the Vatican do not reconcile? Will the Society be considered "not Catholic" (again)? Will "non-SSPX Catholics" keep the SSPX at "arm's length"? Really, however this thing goes, the second and third-order effects are going to be very interesting. "...Rome no longer makes total acceptance of Vatican II a prerequisite for the canonical solution." "...the Pope is the one who wants to recognize us. You may ask: why this change? We are still not in agreement doctrinally, and yet the pope wants to recognize us!" Why the sudden reversal on that from Rome? "The Holy Father has said he wouldn’t have lifted the excommunication on Bishop [Richard] Williamson had he known about his anti-Semitism." "If I had known, the first step would have been to separate the Williamson case from the others." When did the Pope say that which the National Catholic Register stated in regard to the lifting of Bishop Williamson's then-excommunication? mfbg said: Tired of this roller coaster. Being 'cooped up in a monastery' used to be an anachronism. It looks as though the situation has gone from grim (Levada) to grimmer. What looked like almost a done deal ten days ago now appears impossible. Why can't the Pope just be 'the Pope'? Sometimes you just have to throw up your hands! "The Pope is bending over backwards to accommodate them, but he’s not going to give in on the issue of the authenticity of the teaching of Vatican II as a series of acts of the magisterium." Abp. Di Noia makes a lot of sense to me. He is a great choice for this dialogue. Vatican II cannot be just willed away by SSPX. We are all together in this barque. Abp. Di Noia makes a point I had not been aware of. It may not matter so much whether VC2 was infallible (dogmatic) or pastoral (ordinary or not specifically declared. "The overemphasis is on infallibility. This is why John Paul II and Benedict XVI decided not to define anything infallibly anymore because you see what happens is: People say: “I only have to believe what’s been infallibly defined.” Now, that is very little. So that’s why there’s a distinction between the ordinary and extraordinary magisterium. The extraordinary magisterium is what the Church defines, and it almost always involves settling disagreements that probably have been defined. The Church would perhaps have never said Mary was the Mother of God if Nestorius hadn’t denied it. But with the ordinary magisterium there’s huge amounts of what we believe that’s de fide divina that’s never been defined. That’s why people have talked about the ordinary magisterium, trying to get out of this reductionist reading that says you only have to believe what’s infallible. So, no, the Council does have binding teaching. The Fathers are writing as bishops of the Church in union with the Pope; that’s why the Council is so important." I doubt SSPX would accept this view, but we will have to go with Benedict XVI on this. "The traditionalists that are now in the Church, such as the Priestly Fraternity of St. Peter, have brought what the Pope has insisted upon: that in the solemnity of the way in which they celebrate the liturgy, especially in the area of the liturgy, they are a testimony to the continuing liveliness of liturgical tradition previous to the Council, which is the message of Summorum Pontificum." I agree and would add us Una Voce Diocesan types who are working to build new communities, Scholas, masters of ceremonies, altar servers and other resources to keep the traditional Catholic Faith. Every Sunday we attend TLM we promote the continuation of our Church. After reading this interview, I see much less hope for reconciliation. Again, the Pope can act in a limited way to recognise that they are Catholic. But full reconciliation seems distant. Now there's a discovery. While there is no such thing as 'full communion', since communion is an absolute, there surely is such a thing as 'full reconciliation'. One (of many) problems I see in this interview is the Archbishop's notion of Tradition. We are back to the question of whether Tradition is stable or whether it changes along with the things it governs. He also seems to claim that the Church cannot be led into error at a Council. Is he saying that Church councils can never err in matters of doctrine? That would be an interesting claim to try to defend. Why this dogged insistence that the ordinary magisterium cannot be in error? His Excellency conflates two things that are often referred to by the phrase "the ordinary magisterium": the Ordinary and Universal Magisterium (the teachings which have been taught "always, everywhere, and by all" cf St Vincent of Lerins) and the authentic magisterium (that is, the teachings of the members of the Magisterium, viz the Bishops and the Roman Pontiff). The first is per se infallible, the second is not. To assert, as the Archbishop does here, that the ordinary magisterium canot be in error is to fly in he face of historical fact. Can anyone argue that John XXII in his three sermons where he taught error about the souls of the blessed not possessing the Beatific Vision until the General Resurrection was not teaching in his ordinary pontifical magisterium? Sadly, the Archbishop perpetuates a confusion (between the two equivocal meanings of "ordinary magisterium") that have done most to prolong this terrible crisis in the Church. The "hermeneutic of continuity" is a suggestion by the current Pope on interpreting the documents of that last, problematic Council. It cannot bind in conscience as a teaching in its own right - especially when the Pope has made little attempt to demonstrate how this hermeneutic applies in reality. If the previous Pope could reject the assertion that the documents of Vatican II are in continuity with prior magistrial teaching why cannot the Society of St Pius X? The sting of the Philosophy of Phenomenology stings again. Archbishop J.A. Di Noia has presented a picture that is purely a making of is own experience, independent of the characteristics of objects in reality. I pray that the Pope doesn't share his views, but unfortunately the Pope also subscribes to the Philosophy of Phenomenology, so it's hard to say what the Pope's personal experience of things is. So this interview not only impacts SSPXers, but also others in the Church who adhere to the Sacred Tradition. It might be time to start praying in unmarked Catacombs, to hopefully be resurrected when the leading members of the Church drop Phenomenology and go back to working with objective reality. Phenomemology: it's error, like splitting infinitives and using the noun *impact* as a verb. Thank you for putting it so succinctly. He thinks that œcumentical councils are given the assistance of the Holy Ghost, and so they are. But does the principle of indefectibility prevent doctrinal error in non-infallible teachings, even conciliar non-infallible teachings? No, it does not. H. Ex. says interesing about the traditional Missal: "In the calendar, there are a lot of saints they [SSPX] would like to add, but the Roman Missal is fixed. ... they are also interested in incorporating some of the prefaces." So it is the SSPX asking for the changes? Then this: "the whole teaching on religious liberty ... some very smart people have tried to point out it’s a development that is consistent." Well, they have tried. Have they succeeded in this? Two theologians as smart as Fr. Ronheimer and Dom B. Valuet, OSB, have produced results that contradict each other although they both tried to defend DH. Already DiNoia is not the man for this job!!!! In just these first few paragraphs immediately we see he is either naive, really ignorant of the subject, or he's just lying. DiNoia said, "To be honest, I don’t know. I have a steep learning curve in terms of the issues as they have developed in the dialogue. When I came here, I studied the history of the reform and took a close look at the council, so I’ve learned a lot about the objections that come from that world. I’ve read books by Romano Amerio and Roberto de Mattei on the [Second Vatican] Council, and, of course, I’ve been studying the Council for years; so, in that sense, I have a framework out of which I can talk with them about their problems." Studying the Council is one thing, but if he's had no frame of reference to study it against, then that study was merely academic, not practical, which makes for poor practicum. "Another factor of great importance, autobiographically for me, is that I had lived my entire religious life, until I came here to Rome, in a Dominican priory... In those places, the hermeneutic of continuity and reform, if I may put it that way, was lived. I never experienced the Council as a rupture. " Unless he was celebrating the Tridentine Mass every day of his existence in the priory with very little glimpses of the goings-on outside (New England yet), then "the hermeneutic of continuity and reform" and "I never experienced the Council as a rupture" is oxymoronic. As we have it now, he is already in contradiction. "It’s interesting—only as I’ve begun to read this traditionalist literature and interpretation have I begun to understand that, in a certain sense, there are problems that are real, but if you cease to believe the Holy Spirit is preserving the Church from error, you cut your moorings." If he actually believes the Church in Her present state is without error, then he has de facto cut his own moorings, IMO. He's blantantly out and out refusing to accept the Council (a non-doctrinal one) has errors. "The councils cannot—whatever their interpretations may be by the left or right, or whatever the intentions of the authors were of the council documents — be led into error. All of the documents stand. Schism is not the answer. So I’m sympathetic to the society, but the solution is not breaking off from the Church." Yes, the Councils of the Church. Odd how Vatican II seems to be so paramount to all of them yet he asserts this statement of all the Councils yet an open disregard for Trent and much of what Trent asserted as De Fide. No, schism is not the answer, and neither is creating conditions after conditions for Tradtionalists which de facto make them schismatic. DiNoia is already presupposing the supremacy of Vatican II in the way he qualifies every statement. "I don’t honestly know; I can only speculate. To say why people are traditionalist I’d have to say it depends on their experiences. The [reform of the] liturgy has been a factor; it was a terrible revolution and shock for people. Many of these people feel abandoned, like the Church left them at the dock with the ship. So the reasons are very complicated not really, just ignorance of them "and vary from one type of traditionalism to another and from countries, cultures and contexts in which they have arisen. Balanced and reasonable, BUT he does not in any way allude to the fact the "reform" needs to be fixed, and, therefore, implies a refusal/denial to see it straight. DiNoia also fails to include the false interpritation of Doctrine and the resulting inspid ideas. "The Pope hopes for reconciliation—that’s the Pope’s job. The ministry of Peter is above all to preserve the unity of the Church. So, apart from whatever personal interest Pope Benedict might have, he shares his concern with John Paul II. As you know, he has been involved in this from the beginning. The Pope is bending over backwards to accommodate them, but he’s not going to give in on the issue of the authenticity of the teaching of Vatican II as a series of acts of the magisterium." Right there is perhaps the core of the problem. The Holy Father says he wants unity but creates obstacles to unity such as this Vatican II magisterium routine. If the Holy Father and Bishop Fellay cannot agree to terms which state the other's concerns and avoid a black-and-white deflation of the other, the twain shall never meet and neither will the Reunion occur. This is so very discouraging. I should also like to enlarge on what I said about the confusion about the term "ordinary magisterium" being instrumental in prolonging the crisis of the faith since the end of the Second Vatican Council. Unfortunately, this term is equivocal in that it refers to two distinct things. Firstly, the phrase can refer to the infallibility of the magisterium (the Roman Pontiff by himself as well as the Bishops in communion with the Roman Pontiff) when it reiterates the constant teaching of the Church. In Pastor Aeternus this is referred to as the "Ordinary and Universal Magisterium". The universality in question is not merely spatial but also temporal. The infallibility of such a teaching can be recognised by the fact that it has been taught by the majority of members of the magisterium since the beginning of the Church (it is precisely to remove doubt that such a teaching is infallible that the Church at times of crisis resorts to the Extraordinary Magisterium to define that teaching as infallible). Secondly, the phrase "ordinary magisterium" can refer to ordinary day-to-day teaching of the members of the magisterium, viz the Pope and the Bishops). Here the phrase - better expressed as the "authentic (or authorised) magisterium" - refers to the authority of these members to teach. They have the office of teaching, they are the ecclesia docens. It is mistake to automatically assume that everything that is taught by the members of the magisterium is infallible: to do so is to confuse infallibility and authority. This is why I say that the expression "ordinary magisterium" is equivocal in that authority and infallibility are two distinct and not necessarily related terms. We cannot even speak of the expression "ordinary magisterium" as being analogical due to their contingently related meanings. The reason for the confusion (which goes way back before the Second Vatican Council) is the traditional care and prudence of the members of magisterium (prior to the Council) to base their day-to-day teaching on the perennial teaching of the Church. To put it in another way, most of the time the teachings of the authentic magisterium were identical with the Ordinary and Universal Magisterium. The distinction between infallibility of the Ordinary and Universal Magisterium and the authority of the members of the magisterium is only highlighted in times of crisis such as the Arian heresy when the majority of the Bishops believed and taught something contrary to the contents of the Deposit of Faith. Sadly, lessons from such crises are hardly - if ever - retained. This has led to two errors in our post-conciliar era, both of which ascribe infallibility to the authentic magisterium. The first is that of the Sedevacantists who state that, for example, that John Paul II could not have been the Roman Pontiff since he taught error (for example denying the physicality of Heaven in his Wednesday audiences) and no Pope can teach error, ergo John Paul II could not have been the Pope. This ignores historical facts such as John XXII clearly teaching error in his ordinary pontifical magisterium. When Sedevacantists are confronted with this example they claim that John XII was speaking as a private theologian even that pope was speaking publicly from a pulpit as Roman Pontiff and clearly meant this teaching to be binding since he declared at least one of the Dominican theologians who opposed him as excommunicated. Thus, John XXII highlighted that what we call the "ordinary magisterium" is not per se infallible i.e. that there is an infallible (i.e. the Ordinary and Universal Magisterium) as well as a fallible magisterium (i.e. the authentic magisterium). The other error is that of Archbishop DiNoia (as well as, notably, a number of theologians connected with Opus Dei) who deny (seemingly as an article of faith) that the documents of an ecumenical council ipso facto cannot contain error. Never mind that the Church has never taught infallibly that the entire contents of the documents of any ecumenical council are always free from error. Indee, we see from the distinction above that teachings of Vatican II fall into the two categories of teaching covered (equivocally) by the term "ordinary magisterium" and therefore there is no guarantee that every teaching must be in continuity with prior magisterial teaching. In the same way that John XXII's teaching on the souls of the just was not in continuity with prior magisterial teaching. The teachings of the magisterium when they are not dogmatic definitions by necessity fall either into the Ordinary and Universal Magisterium (which is infallible) or the authentic magisterium (which is not infallible and therefore capable of error). There is no distinction whether we are referring to a Wednesday Audience, Papal sermon, allocution, Apostolic Exhortation, enyclical letter, or conciliar document. Regardless of the type of document (and it doesn't matter that the document might be described as "dogmatic") a teaching of the authentic magisterium is only preserved from error in so far as it reiterates the perennial teaching of the Church. Remember that Pius XII in Sacramentum Ordinis corrected an error taught by the Council of Florence in the Decret to the Armenians on the form and matter of the Sacrament of Holy Orders. To insinuate, as Archbishop DiNoia does, that to make the logical distinction between the Ordinary and Universal Magisterium and the authentic magisterium is somehow uncatholic is simply wrong and demonstrates a tragic shallowness of theological understanding. Sadly, until we can help the ecclesia docens 'rediscover' the logical distinction between these two terms covered by the rather vague "ordinary magisterium" - that there is a logical distinction between authority and infallibility - the Church will continue to suffer terribly. No council has ever claimed to have a universal infallibility regarding every word of every text. In most every council, it is those canons with anathema sits that are binding. Councils can have errors in them which can be corrected by the magisterium over time. Vatican II has a lot of problems and yes it has some real errors. This is the Bishop that is supposed to help the recognition of the SSPX???!!! After reading this interview I see that His Excellency is grossly misiformed as to the Society and people who want the traditional Catholic Church doctrine taught in its purity and truth. "...who deny (seemingly as an article of faith) that the documents of an ecumenical council ipso facto can [i.e. not cannot] contain error"
Thank you, Fr Collins. I enjoyed your series for EWTN "Does the Church still teach that". Would that every Catholic were exposed to your reiteration of the perennial teachings of Holy Church. "Q: What stage has the Vatican reached in its talks with the SSPX? Q: That being the case, why do you think some Catholics have decided to stick to “frozen” tradition, as it were, rather than coming into full communion? Q: Some have argued that you have been brought in to help prepare a canonical structure for the SSPX should they reconcile. Is this based on the extensive work you did in helping to create the Anglican ordinariate? Q: How much is a perceived weakening of the dogma extra Ecclesiam nulla salus (no salvation outside the Church) a major part of the problem, as some traditionalists assert? Has today’s understanding of the dogma contradicted its earlier teaching? Q: Are you optimistic or pessimistic about reconciliation? A: I’m neither; I just don’t know." Thank you David from glasgow, that was very helpful. Thank you, Fr. Collins, and David, Glasgow, for your especially helpful insights here. I wonder if Msgr Ocariz and the others who keep hitting us over the head with the need for "obsequium religiosum" on VII have consulted one of their own, the late Prof. Jutta Burggraf, who in the latest book of hers that is published, "Made for Freedom", says this:"Throughout history one can observe signs of an inability to conceive of religion in any terms except fear--the fear of punishment. But this fear breeds a narrow mentality, even as it expresses a feeble piety. It's the piety of someone who doesn't feel free and, taking no pleasure at the thought of a God who is constantly judging him, is easily overwhelmed or depressed. Only love empowers us to live faith freely and joyfully, as God expects of us. Superfluous, damaging rules can also be laid down in God's name. At times 'there arises the danger of thoughtlessly, mercilessly invading the conscience of others...'"[citing here,Saint Josemaria Escriva, "Christian Respect for the Person and his Freedom", in "Christ is Passing By", Scepter Publishers 2002]. Isn't this what is really happening here? The enforcers are employing fear (of damnation, or of just not being a "super Catholic" or the like) to suppress all thought and criticism. This interview clearly betrays that Archbishop Di Noia doesn't know much about traditionalism and the Society. He has a very external, superficial view - he doesn't seem to have been following Rorate or other traditionalist fora for years, trolling comment box controversies, staying up-to-date. The good news is that he seems to know and admit his ignorance. He claims to have a "steep learning curve." Let's hope so. Let's not forget that "Cardinal Ratzinger" entered the conversation as a nubie outsider. Traditionalists were very skeptical (understandably) of what a onetime liberal Conciliar peritus could possibly bring to the table. Yet Archbishop Lefebvre and Fr. Schmidberger could only praise his involvement in the 1980s discussions. He was a careful listener, an intelligent and pertinent discussion partner, and the agreement fell through because of no fault of his own. The current discussions are much the result of his own initiative. He showed remarkable perspicacity to recognize the Society's "conditions" not as an attempt to blackmail the Holy See, but as genuine acts of good faith, reestablishment of trust, magnanimous concessions for the good of the entire Church. If you read "the Rhine flows into the Tiber" back in 1966 or 1967, you would never have guessed "Fr. Ratzinger" would prove as much a friend of tradition as he has. Alsaticus said, "The more you concede to Bp Fellay, the more you grant to Austrian rebellious priests. "" Who cares about rebellious Austrian priests? "So clearly the pope has appointed Abp di Noia in a kind of desperate movement to reach for the SSPX reconciliation and try to rescue a process the CDF (and a few others) has seriously endangered in May and June. He seems a man of good will and decided to embrace his delicate mission, beginning to measure out how difficult it will be, especially after the nasty games played in the Curia recently. Plus the lack of support he will get from this left veering Curia-with a Bp Roche and a Bp Paglia-and in case of the appointment of Bp Mueller as his direct superior at the helm of CDF." Really?! Having just read that interview, you think DiNoia is the one to help the Reunion take place? Evidently, you've misssed the point of the whole conflict. To that, the Holy Father appointing him means the Holy Father is having a hard time arguing his Vatican II shangrila on his own. DiNoia said, ""The Pope doesn't want this division to continue." With him being there, this division certainly will continue! The problem here is that in the Tradition, consensus is not enough to establish divine Tradition. It also must be in union with the Tradition. So if a consensus proposes something on its face opposed to what came before, you can't say well its in a council so its automatically binding. A consensus at Florence taught that the matter for the sacrament of Order was the handing on of the chalice and patent to the ordinaned, but this was not Divine Tradition, it originated in the 9th century. Pius XII correct what is essentially an erroneous teaching from a Council. This is why consensus must be in union with the WHOLE tradition. Only the extraordinary magisterium is irreformable of itself and not everything in a council is extraordinary. Cardinal Franzelin discusses this distinction at length in Thesis IX of his classic "De Divina Traditione". If this is going to be Di Noia's approach, I don't hold much hope for a successful dialogue with the Society. In this case (I have not time to look it up), the II Vatican Council did bring an actual development to Church doctrine. The significance of this interview is immense. This is a model, a keeper to be framed and regularly consulted as a reminder of the prevailing cluelessness of today's hierarchy. Deo gratias he's a Thomist and ex-editor of The Thomist. That gives us hope. See his article: The Thomist 73 (2009): 111-27, "DISCERE ET DOCERE: THE IDENTITY AND MISSION OF THE DOMINICAN HOUSE OF STUDIES IN THE TWENTY-FIRST CENTURY". Also, Di Noia has written a seemingly good book against religious pluralism and indifferentism: The Diversity of Religions: A Christian Perspective. So, once he gets up to speed on the SSPX situation, I think he'll handle it well. If you really want to get a sense of where Di Noia is coming from, read his 1990 The Thomist article "American Catholic Theology at Century’s End: Postconciliar, Postmodern, Post-Thomistic"
There is no question of reversing the tremendous gains [! 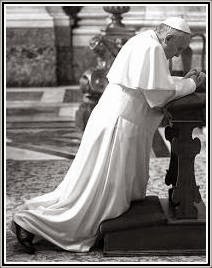 ]—in flexibility, in collegiality, in religious freedom, in social and political awareness, in commitments to dialogue with other Christians, other religious people, and non-believers, in respect for diversity within the world Church [This sounds like subsistit in…], and so on—achieved in the name of aggiornamento.